Are Batteries Right For You? Are You Building, Moving Or Renting? Where in your solar journey are you? Download Your FREE Beginner’s Guide To Solar Power! 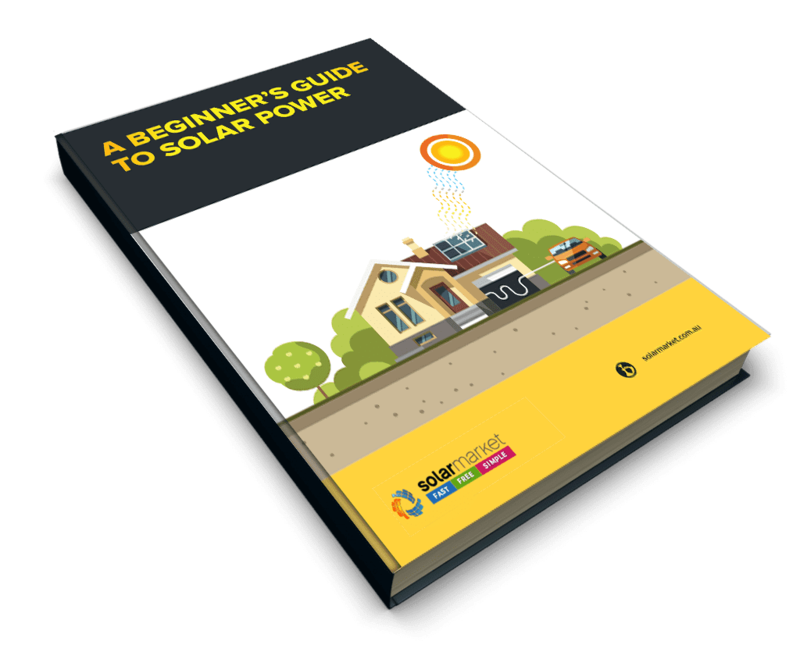 If you’re considering solar for your property or just looking to maximise the savings for your solar system, download a FREE copy of our "Beginner’s Guide To Solar Power". Become an expert and better understand the ins and outs of solar power and solar PV systems for your property. Includes detailed explanations and diagrams of the various types of solar systems and their parts, solar battery storage systems, Government incentives, expected ROI periods, finance, energy saving tips and more! I was able to get some good quotes and actually discuss the system I needed for my circumstances. I was informed on the quality of the parts used as well as the warranties provided. Tradesman were prompt and very professional. The information on the Solar Market’s website was great and assisted me in understanding what I needed for my home and what rebates I could claim. I received 3 Quotes within a few days from solar companies near my residence. Cheers for the quick service! As a home owner looking to upgrade to solar we received prompt and excellent service from Solar Market. We received calls from 3 solar energy companies that arranged home visits with obligation free quotes. Within a week we had all the information and quotes we needed to enable us to make an informed decision. Thank you, Solar Market, for making the process comfortable and easy. Solar Market were so helpful with giving me 3 different quotes to compare. It removed the stress out of going solo and chasing companies to get quotes from. I would highly recommend the team at solar market. Very prompt response to my enquiry providing several competitive quotes. Also made me aware of what questions I needed to ask when speaking to solar installers. Now I have what I need to make a decision on what installer and system to choose. I wasn’t sure how to go about adding a solar system. I was pleased after getting quotes and talking with contractors that I could understand what could be done and how much it’d cost. The contractors weren’t pushy and were very helpful. © 2019 The Quote Company Pty. Ltd.
Get 3 100% Free Solar Power Quotes from Qualified Installers in Your Local Area. No Obligation to buy, and you'll receive your quotes within 24 hours! Please provide your email address so that we can send your free copy of "Beginner’s Guide To Solar Power". Send me a copy now! We have emailed your copy of "Beginner’s Guide To Solar Power". If your guide does not appear in your inbox ensure that you have provided the correct email address or check your junk/spam folder. For some households a battery system can be of great benefit and minimise a home’s reliance on the grid. However, it’s important to understand for a battery to be useful your solar system needs to be generating excess energy for the battery to store, which you can then use at night or when the sun is not out. When selecting a battery, you’ll want to invest in a system that is most suited to your home and can drive the best return on investment (ROI). Despite a larger upfront cost, a higher quality battery may significantly increase your ROI. The number of times a battery can fully charge and discharge. How fast it can be charged or discharged. The maximum amount of energy a battery system can store. An electronic ‘smart’ system that gathers data and manages the battery ensuring it does not overload or operate outside of its safe functioning zone.. Battery systems require their own inverter if your solar system does not have a hybrid inverter. A system which includes the battery, BMS and an inverter all in one unit. Length of time or cycles the battery system is under guarantee. It’s important to note this is not a common feature of a battery system and could cost thousands of dollars to include. Blackout protection not only requires additional components but also a specialised installation and rewiring. For grid-connected homes, the cost for blackout protection can outweigh the benefit. 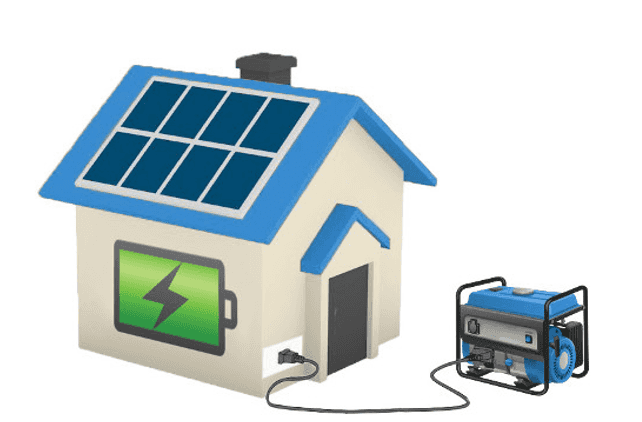 Additionally, if your purpose for adding battery is to go Off-Grid and become completely independent from the grid you will need to ensure your solar system can generate enough energy to power your home and your battery system is large enough to store this energy. For homes in metro areas going Off-grid is not cost effective and is only recommended for those in remote areas with limited access to the grid. Off-grid solar systems with battery start at approximately $30,000.